The Arrow has been designed on a blend of innovative ideas and simplicity to ensure it can be built and run without professional support. 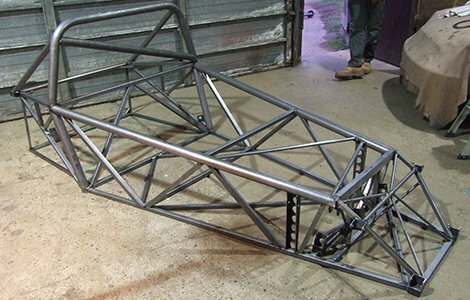 The body is a classic low drag shape customised to provide low drag and downforce without wings. Low unsprung weight is combined with adjustable dampers to deliver grip and the suspension is easily adjustable to suit the driver’s style. Safety is also “designed in” with crush zones outside of the main chassis and substantial protection for the fuel cell and driver. 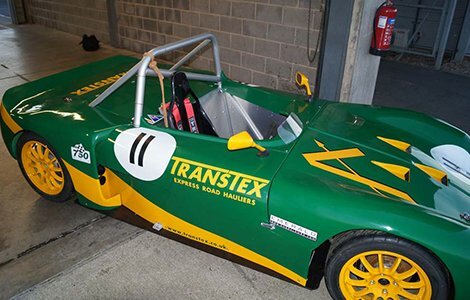 The result is a controllable race car with superb handling and braking. With only bolt on changes, the Ford Fiesta Zetec SE engine delivers a 50% improvement over standard and at the same rev limit to ensure good engine life. Arrow 2 is a development that is based on the Fiesta ST150 with its more powerful 2.0l Duratec engine. This development follows requests for a car that has winning potential in class A of the 750MC Sports Specials championship. Arrow 2 not only has a larger engine but also a 4 throttle body induction, a racing clutch and double adjustable shocks. 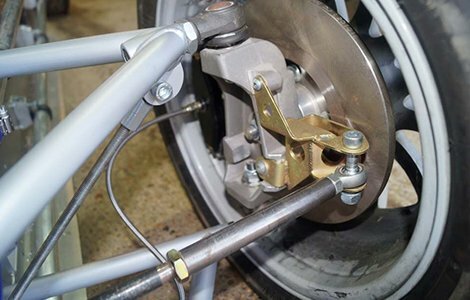 Adjustable for camber, toe-in, ride ht, dampers, springs & antiroll bar. Fiesta uprights with ally 4-pot brakes. Lightweight alloy uprights, hubs & 4-pot brakes. Adjustable for camber, bumpsteer, ride ht, dampers & springs. 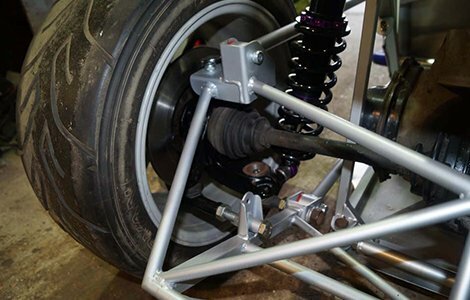 Zero droop – reduces camber change and eliminates front end lift. Standard Ford Zetec SE, 2002-2008. code FYJA/B. FRS engine conversion service here. Classic low drag shape with side intakes for engine bay. Lightweight fibreglass finished in “easy-sand” gel coat. Full length flat floor with diffuser at the rear. The kit does not include nuts, bolts, hose clips and other routine parts that you are likely to have or can buy cheaply elsewhere. 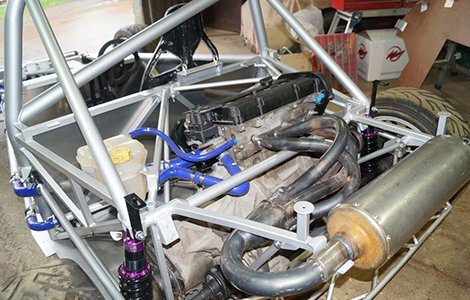 Tools and instrumentation are not included, but some of the more complex tasks such as the engine upgrade and suspension set up can be purchased as an additional add-on. If you are interested in purchasing The Arrow Core Parts Kit we would like to talk with you personally so that we can ensure we have covered all aspects of the purchase, payment and delivery. Initially please use the “contact” page which can also be used for any questions you may have.